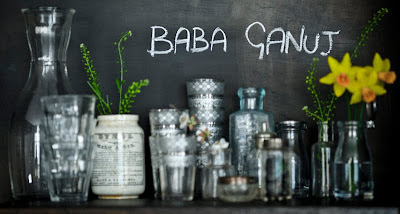 babaganuj: In the thick of it all. In the thick of it all. It's not that often I get to experience people arguing first handedly other than, my own arguments that I have with those who happens to share a slightly different views from time to time, and even rarer, to hear it in Korean. I kind of got sucked into it and sort of listen to it without realising that I was, indeed, listening. I listened while pretending to shop, very slowly. As if, I had an extensive shopping list that I'd forgotten to bring it with me. As if, I was trying my damn hardest to jog my memories back while browsing every single items on the shelve thinking, 'oh, was this it? ', when actually, the focuses were on the other side of the counter where much more fun things, and of course this would be for their expenses unfortunately, were happening. I think the lady was a bit embarrassed with the whole situation and she kept telling her husband to stop. From the previous conversations I had with her husband, I know she is his wife and this is their shop. It is fairly small grocery store but specialises mostly Korean and some Japanese products that will bring home to any Korean. Funny thing was though, it reminded me of my parents. It took me straight back to my parents' shop where they worked together for their dream, where they bickered with no ends, and where they fought hard for success. My dad used to tell my mum to stop, stop talking. He is a man with very few words and he never really liked the tedious arguments. But she would go on and on, until my dad looses his temper. My dad would just walk away. I used to hate looking at his back. With his shoulders all crouched and his feet so heavy, he looked ever so sad, helpless and tired. The lady at the grocery store, shyly apologised for the atmosphere. I smiled, and said it was all okay. I love tofu. It is one of those ingredient that carries flavours very well and depends on how you cook them, it changes its texture from soft and tender to crisp and crunchy. This dish is easy to prepare and simple flavour combinations of hot and sweet works wonders. First of all, pat dry tofu before you cube them to remove excess water and coat them lightly with corn flour. Add pinch of salt and generous helpings of freshly cracked black and white pepper. Heat some oil into the non stick frying pan over medium to high heat, and gently shallow fry them until golden. This should take around 5mins. Remove cooked tofu cubes and set aside. Use the same pan, heat some oil and gently fry the chopped onion, garlic, ginger and chilli until onions are softened. I tend to add half the amount of chillies at the beginning to introduce some chilli flavour into the oil and add the other half at the end of the cooking process to keep the freshness. Once onions are softened, add tofu, soy, sugar and chilli powder along with water. Bring them up to boil and simmer on low heat until tofu has soaked up all the juices. This simmering process allows tofu to take on the flavours of the sauce. Stir in the corn syrup which will give lovely sheen to the dish and drizzle sesame oil and seeds for the gorgeous nutty flavour. Sprinkle finely chopped spring onions and dig in. I, in my heart, whispered. After all, it is living, living the life together in the thick of it all. what does the corn flour do? When corn flour is lightly coated the surface of cubed tofu, not only it protects tofu when frying, but also it gives slightly crisp texture on the outside. And these layers will help tofu to retain its soft texture inside while soaking up all the flavours from the sauce. This looks great - I've been in the market for some more tofu recipes. It's hard to not eavesdrop when they're speaking in a language that you understand completely. I'm glad I am not the only nosy person. I just can't help it sometimes. Hope you enjoy the dish! Lovely to meet you too, Yelena. My son is going to LOVE this tonight - thank you! I suppose you could use agave nectar instead. Hope this helps. Hope you guys enjoyed the dish, city and Bertha. Hi! I'm working on a round-up of tofu recipes for The Huffington Post Taste and I came across your recipe. I'd love to include it in my piece. Please let me know if you're interested. Thanks! Yes, that sounds interesting and I'd be happy for you to use the recipe. All I ask is, that the recipe is credited to the 'babaganuj' blog. Is this the recipe Yottam Ottolenghi includes for tofu in the cookbook Plenty? Or perhaps just inspired by a similar traditional recipe. 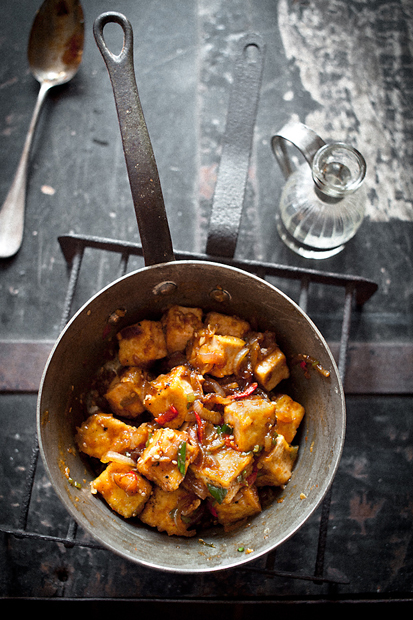 This tofu dish actually is our family recipe that I grew up with. Tofu is fairly common ingredient to Korean table and lots of families have different versions of this particular dish. Some may call for addition of typical Korean chilli paste or fermented bean paste. Some others may use some dried shrimps to give the dish the umami flavour. I found your blog through Pinterest and hope to find some great recipes. I've heard not all Tofu is the same. Do you have a preference? I've just recently started to do Vegan and I've never had Tofu. Want to use the best in hopes of liking it enough to continue using it. I'm not sure where you're based at, but I love organic tofu from abel and cole who delivers amazing organic food to your home. Cauldron brand is a good standard tofu, but I will stick to the ordinary one. Also, a lot of oriental food stores sell freshly made tofu. You will find it in the chilled section. Try firm tofu rather than soft. I find firm holds flavour better, and you can do a lot more with it. I would avoid purchasing any tofus with long shelf life. They don't taste good and the texture is awful. Hope it helps you, and hopefully you will enjoy tofu. I found your blog through a pinterest link to this recipe, which wasn't labeled but turned out to be the chili pepper tofu. Yum! I'm saving this recipe and several others. 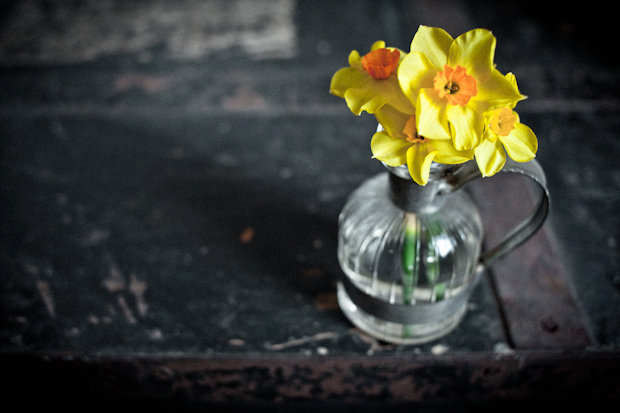 The photography and your writing is beautiful, and I'm glad I stumbled here! We found this recipe a month or so ago and have made it about 5 times since. Delicious.. it's been great in the heat of summer over salad. My husband and I love tofu, I love chilies, and cannot wait to make this, and will be sure to make some milder for my daughter, too! Just made this. Turned out pretty well. Thanks.